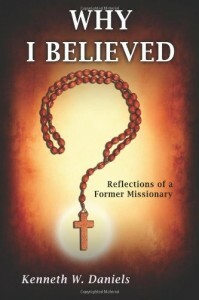 In this last category falls the serious objection known as “Jesus’ failed prophecies,” which is discussed in one of the most challenging books on leaving faith that I have read, former Wycliffe missionary Kenneth Daniels’ Why I Believed. If you don’t have the book, you can read a similar argument at The Parousia: The Return of Jesus Christ. There are many more such passages, and even the other NT writers seemed to have the same idea. However, as you might expect, there are not a few Bible apologists who have argued against such a position, which I will link to below. In this article, I summarize the possible answers to this dilemma, including Daniels’ position, which is that if you take the Bible to be internally consistent, Jesus’ prophecies did not come to pass, and He is therefore a false prophet. You got an answer for that? Here are the possible answers to this riddle. I’m not arguing for any of them today, just wanted to give you some hope that such answers might exist. What, you don’t like ambiguity or hard questions? Welcome to spiritual life for real. If this is the case, then we don’t really know what Jesus’ said, so the whole argument doesn’t really matter. Maybe Jesus said this stuff, and was a false prophet, or maybe the gospel writers reported it wrong. 2. The Bible is trustworthy in all things, and Jesus really said these things, and is therefore a false prophet since they did not come to pass. If you deny that the Bible has error, then Daniels’ sees you in the following position – the Bible seems to report that Jesus, as well as Paul and Peter and Jude, expected Jesus to return before the ‘current generation’ died, and that the parousia (his return) was very close. Daniels is arguing that if you DO believe the Bible to be inerrant and internally consistent, then Jesus must have been a false prophet, since he has STILL not returned. The Biblical literalist must conclude, therefore, that Jesus was a false prophet, or risk being in logical contradiction. Christians fail to conclude that Jesus was a false prophet, and fail to see that perhaps also expected Jesus soon return, and they too must have been mistaken. Therefore, they are lying to themselves about Jesus and/or the Bible. 3. The Bible is only trustworthy in SOME things, and we need to use reason to figure out which. 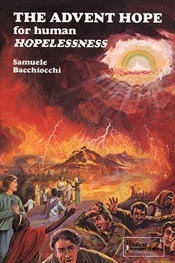 Perhaps also, Daniels is, like the Jesus seminar, using some criteria by which to affirm that some parts of scripture are more sure than others – like the ‘criterion of embarrassment‘ – that is, any recordings that actually embarrass the Christian message or Jesus’ are more likely to be historically accurate, such as the denial of Peter, or in this case, the failed prophecies. Granted. 4. The Bible recorded Jesus’ words correctly, but the straightforward reading is incorrect. Daniels makes a strong argument for the straight forward reading of these texts. There are, of course, some theologies that try to harmonize or explain these in a less straight forward (some would argue ‘more convoluted’) way. Daniels addresses some of these, but not all, and perhaps not the most important. 1. One event or more than one? The only solution to the dilemma of “nonoccurrence” is occurrence! It’s the only biblically consistent solution….And that is that Jesus was correct. He said what He meant and meant what He said…. This is the preterist view. It documents how all eschatological events came to pass within the lifetime of Jesus’ contemporaries, i.e. within that same and uninterrupted “last days” time frame (Heb 1:1-2). This includes our Lord’s time-restricted return. Nothing was delayed, nothing proved false, everything certainly came to pass (Hab 2:3; Heb 10:37), right on time, in conjunction with the fall of Jerusalem in A.D. 70. It would not be the first time that people got confused about the coming of the messiah, and what he was going to do when – cf. the first century Jews and Jesus’ first visit. Prophecies are notorious for being misunderstood. Accompanying these “imminence verses” there are other passages which place the Parousia in a more distant future. A sense of distance is suggested by the precursory Advent signs given by Christ. FOr example, in Matthew 24:14 Jesus says:: “And this gospel of the kingdom will be preached throughout the whole world, as a testimony to all nations; and then the end will come.” The time involved in reaching the whole world with the Gospel as well as the words “and then” imply the elapsing of considerable time before the Second Advent. 3. Literal nearness in time, or emotional/figurative nearness? Nearness is suggested by the significance of the given signs, namely, “that he is near, at the very gates” (Mark 13:29). Remoteness is indicated by the time needed for the signs to be fulfilled and more explicitly by the statement that even when they occur “the end is not yet” (Mark 13:7). The purpose of this tension is obviously ethical, namely, to discourage speculation and calculation of the date and to encourage constant preparation for the Lord’s Return. Much of the Olivet Discourse is cast in the form of exhortation: “Take heed” (Mark 13:5, 9, 23, 33), “Do not be alarmed” (v. 7), “Do not be anxious” (v. 11), “Watch therefore, for you do not know when the master of the house will come” (v. 35). These exhortations highlight the purpose of the time references, namely, to encourage preparation and endurance, not speculation. Us moderns always try to impose our scientific views upon what are often colloquialisms or non-literal and non-scientific, phenomenological descriptions in scripture. And in going so, we easily misunderstand the teachings therein. I still haven’t answered this dilemma to my own satisfaction, but for now, I am content to take the Pascalian position on this for now – betting that the Bible is correct, and superficial objections may be only that.